Chaney Architecture is working with ADC and leading food and beverage innovator Clint Nolan to reactivate the former Kenny buildings in Beaufort Street Northbridge. The development will see the existing spaces re-used and re-energised as a diversified hospitality venue. The project includes the renovation, refurbishment and expansion of the building to accommodate a range of bars, restaurants, galleries and boutique retail activating the ground level. 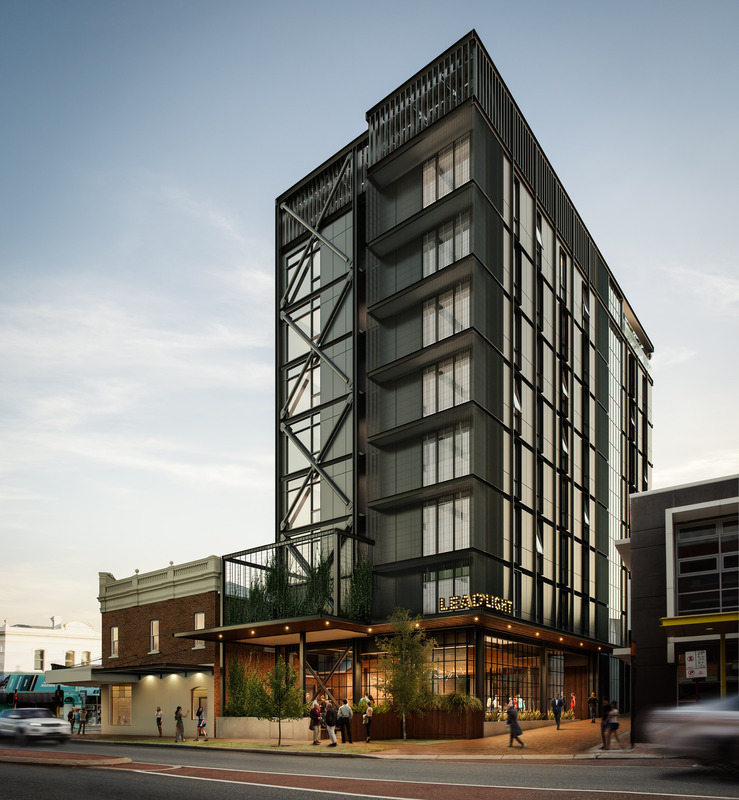 The working title for the proposed development is “George and George”, paying homage to the history of the building through one its original tenants’ names. At the rear, above the urban food garden, the redevelopment will include a contemporary multi-level structure that will complement though contrast the existing heritage-listed improvements. 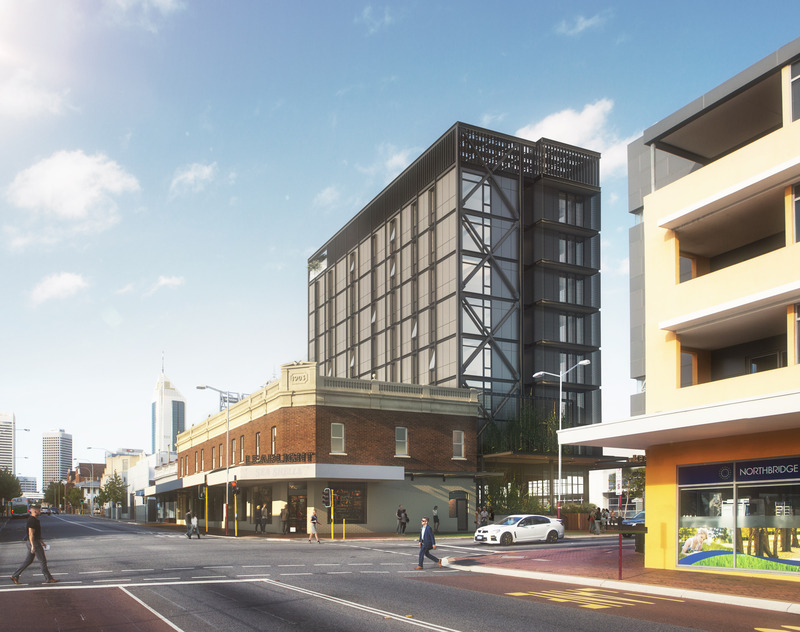 This hotel will integrate with the food and beverage offerings in the Kenny Buildings and provide a boutique short stay accommodation component to the overall development. Chaney Architecture has initiated a number of innovative and creative approaches to the adaptive re-use strategy for the site, including the maintenance of existing uses (building code classifications) to both the upper and lower levels of the old buildings. By maintaining original residential style use on the upper levels, we have been able to maximise retention of original building fabric and minimise the intrusion of potential new services and access infrastructure in and around the original building. The lower levels are being maintained as retail, which achieves similar outcomes and benefits for the overall development.